The vital objective of this report is to analysis Corporate Social Responsibilities of First Security Islami Bank Limited. 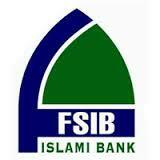 Other objective of this report is to know about the CSR activities of First Security Islami Bank Ltd in Bangladesh. Finally this report make swot analysis Corporate Social Responsibilities of First Security Islami Bank Limited. Overall Banking System of NCC Bank Limited.